Wonderla Holidays Limited is one of the leading amusement park operators in India. 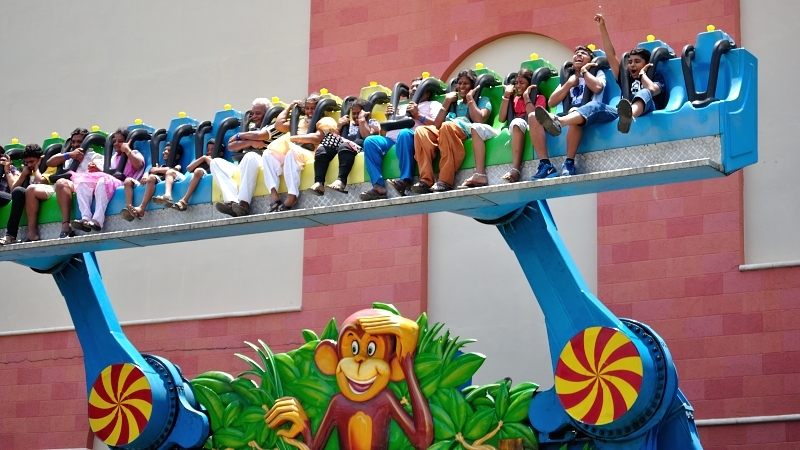 The company currently owns and operates three amusement parks in Hyderabad, Kochi and Bangalore. Wonderla Hyderabad promises of immense amount of fun and entertainment to all its visitors. It is built with an overall cost of over 2.5 billion, located in Kongara Khurd A Village, Ravirala Post, Maheshwaram Mandal. Now, Wonderla Hyderabad park has become the first amusement park in the country to set up a solar plant with an installed capacity of 500 kW, says press release of the company. Wonderla Hyderabad's daily power consumption reaches upto 10,000kWh per day, while the installed power plant will generate 2000kWh daily and it is expected to carter to 25 per cent of Wonderla's daily power requirement, according to the company. To promote the idea of Sustainable Environment, Wonderla has also started "Wonderla Environment & Energy Conservation Awards" for schools with a view to encourage and recognize their efforts in environment protection.